Here’s one of the most ridiculously easy and delicious seitan recipes you’re ever going to find. With the investment of just a couple dollars for ingredients and a little more than 2 hours of your time (most of which will be spent watching Netflix while the sham/scam bakes), you’ll end up with a beauty of a faux ham that easily serves 4-5 people. I had my sham/scam for dinner with sauerkraut and potatoes because I was feeling exuberantly German one night. The next night, still feeling all Teutonic, the sham/scam accompanied a pea soup (recipe to follow). This recipe, created by Courtney Oliverez, is pretty forgiving and flexible. If you want to substitute in different spices or sweeteners go for it. Just do not play around with the cooking time or temperature or the amount of vital wheat gluten. 3-4 Tbsp brown sugar (I find 3 tablespoons is plenty but if you think you want it sweeter, go for the full 4 tablespoons). You could also try maple syrup for a deeper flavour. I haven’t done this yet. 3 Tbsp liquid smoke (yes, that seems like a lot but trust me on this). Pour the blender ingredients into the bowl of flour. Combine everything with a spoon or your hands (I use my hands). You will end up with a very unappetizing pink and brain-like bowl of goop. Oh boy! Let this mix stand for 15 minutes. At this point I like to “burp the baby”. Pat and smack the dough to help spank out air bubbles because you do not want an airy, bready loaf. Here’s my sham/scam right out of the oven and unwrapped — a fragrant thing of dubious beauty! ** What’s with all the security?? Seitan can explode in the oven if it’s not wrapped well. 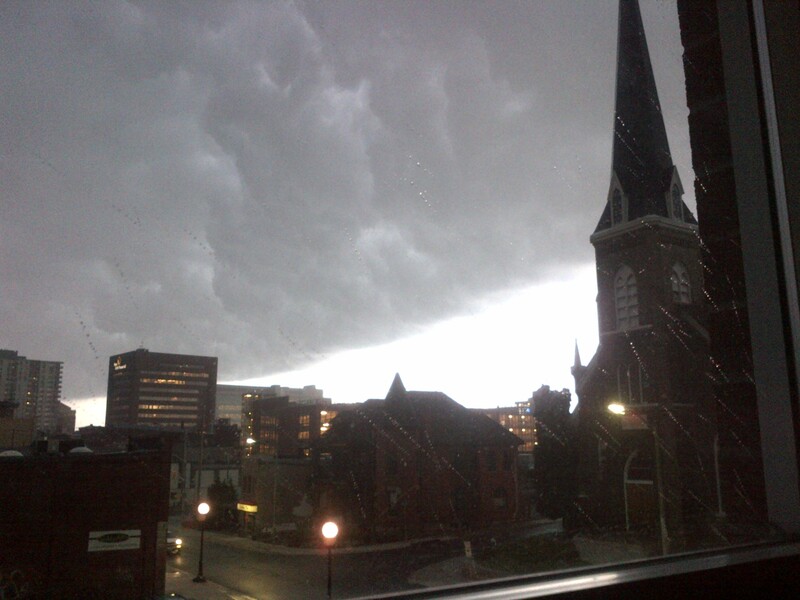 By the way, that is not my photo; I haven’t experienced the seitanic explosion yet. A seitanic explosion caused by poorly wrapped dough. Don’t let this happen to you. Last week I shared a vegan feta cheese recipe. My favourite way to use that cheese is in a Greek salad. I LOVE the mix of flavours, textures and colours in this classic dish and eaten with some pita bread (for sopping up all that delicious dressing and feta cheese) you have a complete meal. TIP: If you like an ingredient add more of it. If you don’t like something, leave it out. The beauty of cooking from scratch is you make it how you like it. Place all the salad ingredients in a large bowl. Place all the salad dressing ingredients in a jar with a lid. Shake the jar well to mix the ingredients. Pour over the salad and toss everything to combine. The feta cheese will become creamier and almost dressing like. If you want the cheese more whole, add the dressing to the salad but leave out the feta. Mix the salad and dressing, then add the feta afterwards. Anyone who knows me knows that I have fallen in love with Esther the Wonder Pig. This social media superstar is a real pig – who, just three years ago, as a tiny piglet, somehow escaped the horrific factory farm system and made her way to Steve and Derek, two men with hearts as wide open and big as the sky. 1) Esther was no family-pet-style mini-pig. She was a commercial pig, bred to grow quickly and become food. 2) Esther was not food. She was family, part of the brood of pets in Steven and Derek’s Toronto home. Because she was not food, Steven and Derek questioned what else they had considered to be food. They knew the dark side of the world’s industrialized factory farming, but had never really delved into it. Now they did. Within weeks of Esther joining their clan, Steve and Derek became vegan. Esther and all animal-based foods were literally no longer on the table. And then Steven and Derek, affectionately called the Dads, did all manner of brave and outrageous things. Esther became the “spokes pig” for their message of veganism and kindness to all creatures on earth. 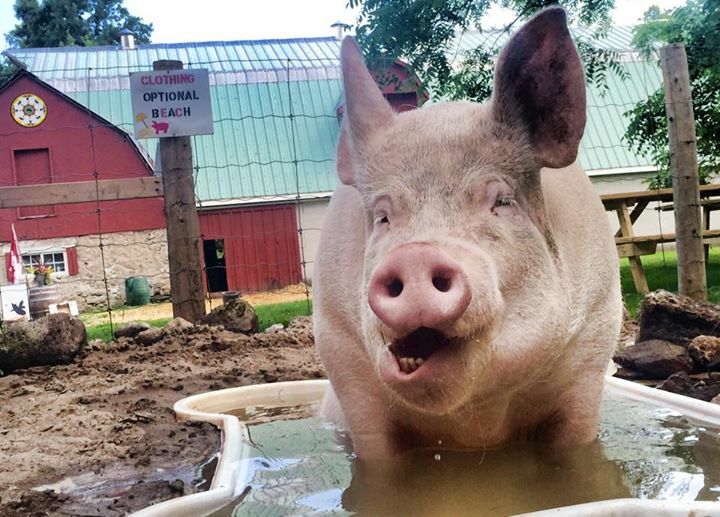 The Dads began to share photos of their giant house pig (Esther is now 700 pounds) along with witty, heartwarming and engaging comments on social media. Esther now has an ardent global following of almost half a million people and has inspired many people – me included – to adopt a vegan diet. Keeping Esther in her Toronto home was a municipal violation. So the Dads decided to open an animal sanctuary called Happily Ever Esther. They crowdfunded the purchase of a farm and raised far more than the $400,000 they were asking for – all from strangers. Esther and her dads have been in the news and on the news all over the world. Celebrities have come to visit her. People flock to see her, make donations and passionately share her story. I’ve wondered often what has made Esther the Wonder Pig such an incredibly popular phenomena. After all, there are loads of cute animals on social media. There’s a ton of funny stuff too, and vegan recipes and calls to action against animal cruelty abound on the internet. So what is the magic of Esther and her Dads? I believe it’s the permission they give us. The permission we rarely are given (or take!) to be ourselves. To embrace and welcome others. It’s a marvelous gift. And when you receive it and open it up, you automatically pass it on to others. So wave your freak flags, love and shine on! This is the full definition of miracle according to Merriam-Webster’s online dictionary. This definition explains a traditional view of miracles as something supernatural and divinely generated, belonging only to the theists in the crowd. But what about people who don’t believe in a deity? Don’t they get to experience miracles too? I say they do. Here is my full definition of a miracle. Deep gratitude for the privilege of being alive in this time and place knowing that you could have just as easily not been. Miracles belong to everyone. You only need to be willing to recognize them. 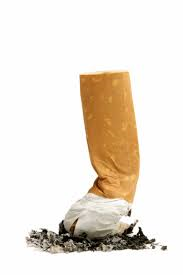 Ten years ago I stopped smoking. It was one of the hardest of things I’ve ever done. For three days I suffered every physical symptom and craving possible – anxiety, sweating, insomnia, dry mouth, headache, even constipation. Everyone around me suffered too! Mentally though, I was tough. In my mind, I had already moved on from being a smoker. I wasn’t “giving up” smoking or even quitting. That thinking underlines an attitude of lack and deprivation. I was getting rid of a bad habit. I was shedding the shackles. I was moving on to something better for me – a healthier, cleaner, free-er way of living. Because I wasn’t giving up anything, I certainly didn’t need nicotine replacement gums or patches or vapor cigarettes to fill the void left by cigarettes. There was no void. With every craving that came and went – and they always went – I breathed, ate ice and said “I’m getting rid of a bad habit” then smiled and celebrated inwardly. I have never smoked since and can’t imagine ever smoking again. Very often we only change when it’s more painful to not change. Even then, the old way is familiar and comfortable. It will whine, entice and manipulate you to try and keep you where you are. And that’s when it helps to know, not what you’re running from, but what you’re running to. Turn your back on what you’re leaving behind. Cut the cord on what was. Don’t be nostalgic and glamourize the past. Understand why you’re changing and what you want for your future and then look forward. See the new way of being and you in it, doing it, living it, reaping the rewards. And then just keep moving forward.